Our team of professional engineers develop personalized applications and games for android, a mobile, tablet-friendly OS. We are a leading company in android software development because of our experienced staff of android designers and engineers. 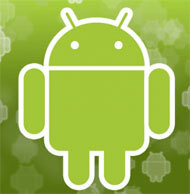 We are dedicated to working with the android development kit using Java programming language. Since the android is a multi-task environment, the developers are in control of the appearance and fundamental capabilities of the applications. The development process is focused primarily on the client from the moment we are contacted by them with the idea of an app or game until the product is released to the public.